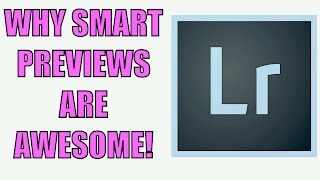 Lightroom is now the de-facto industry standard for software for the processing of RAW and one of the things that is really useful in Lightroom is able to manage your photos on multiple hard drives, which may or may not be connected to your computer at a certain time. If I delete a lot of pictures from my hard drive, of which the catalogue is based on the will of the preview images automatically from the catalog? The cool thing here is that you can see pictures on your hard drive, and as long as you can see from Lightroom, it is not at all a problem, but with Smart Previews is even better! Great tutorial. I love using smart previews. It helps so much when editing on the go or for outsourcing photo editing. So helpful. excellent response. I learned something today. I use light room 5, but still have more to learn. thanks spyros. Chicken Fried Rice and House Lo Mein. 😛 Cheers Spyros. OK, here is my dilemma. I edit with LR Mobile via my iPad Pro and my iMac, when done I send the what I assume are RAW photos up to DropBox and P Cloud, however, I have noticed that many of these files are showing up as JPGs in the cloud. I have noticed that many of these images while within LR Mobile on my iPad are showing as Smart Previews only, no original file. So how does one disable Smart Previews from LR Mobile on the iPad? I have gone to the LR settings on the iPad, tapped on Cloud Storage and Sync and tapped on Full Data. Still, the photos uploaded from my Mac to the iPad show only Smart Previews and no Original Photo. Any help would be most appreciated. Something to note about smart previews, they are great for doing offline editing, but there are some limitation. You can export, but not 100% sure if you can do high resolution exports. Also if you need to do some editing in Photoshop, this can’t be done till your original files are available.